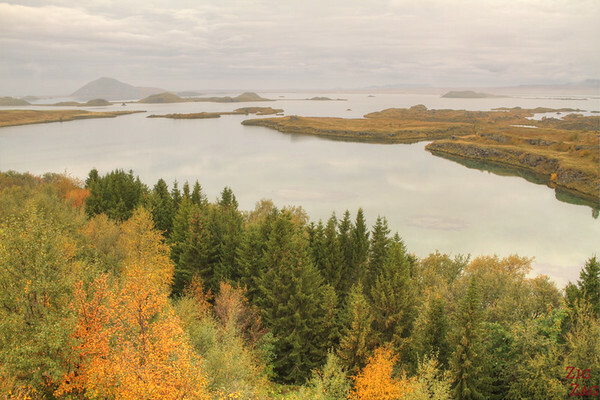 In the middle of the post-apocalyptic landscapes of Myvatn, you find Hofdi, a little peninsula where was planted a mini-forest giving you a nice break from the bare ground you cross all around. 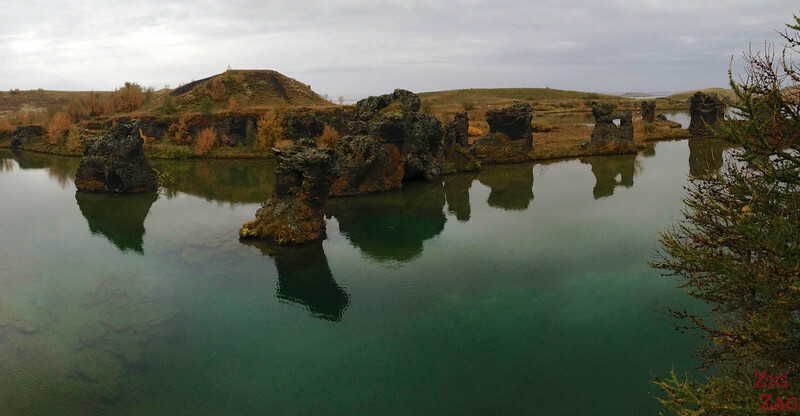 And you still get to see a great volcanic feature: the lava pillars of Kálfastrandavogar. Höfdi is a peninsula in Lake Mývatn with strange lava formations and lots of trees. It is so rare in Iceland that you can wonder why. Apparently it is the result of a couple spending their summer vacations at Hofdi for decades planting trees and plants. When the husband died, the wife donated the place. 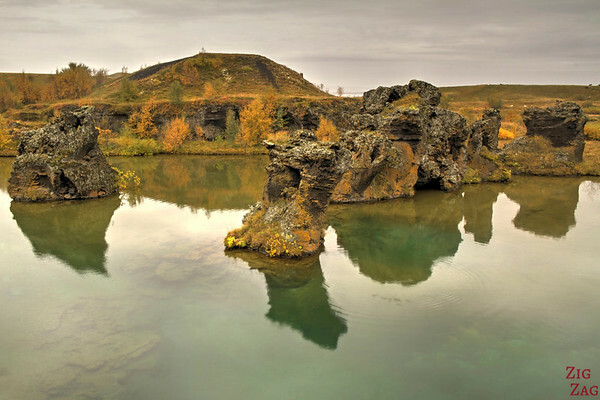 In one of the cove, you discover strange lava pillars standing in the water, a quite unique feature known as the lava pillars of Kálfastrandavogar. 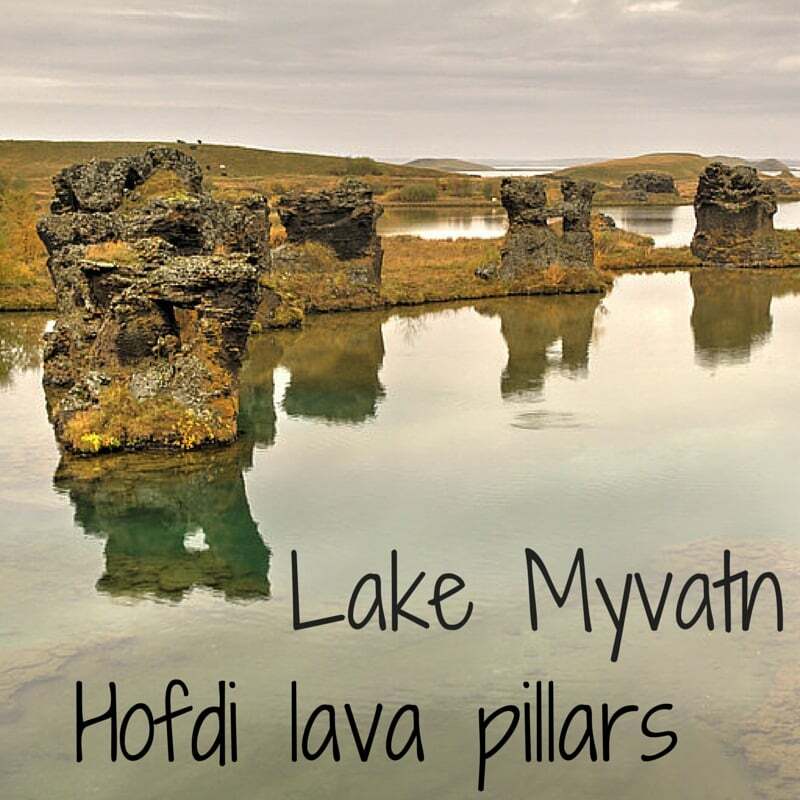 Hofdi has been selcted by the local tourism office as a ‘Must do’ by the Myvatn Lake. 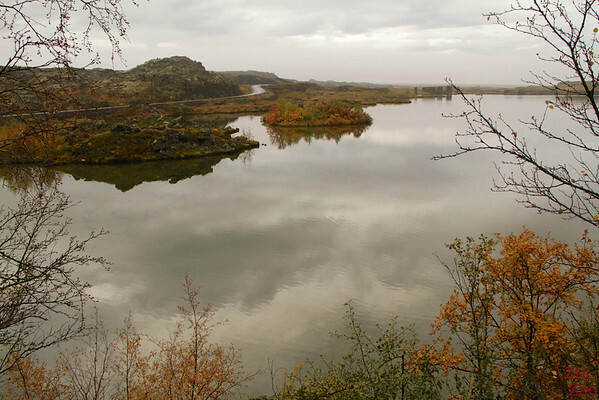 Lake Myvatn lays North of Iceland, over 1h from Akureyri. There is a small parking near the entrance. It might looked closed but the gate can actually be opened. I was there at 8am. Once inside there are paths in every directions with signs indicating the exit everywhere it is quite strange. It is an easy walk and the area is not big. There is only a small part of the path that goes up with a few steps with nice views of the surroundings. The pillars are at the end of the peninsula; It took me 15min to find the viewpoint for them but I am not able to tell you which paths I took. Just try them all! There is an area in the middle that would be nice for kids to play. You walk near the water, so the flies are very much present especially in summer. You can plan less than 1 hour unless you want to enjoy the change in scenery and stay among trees. Hofdi is included in the Travel guide Experience Iceland that I wrote to help you plan your road trip around Iceland and make the most of your time. What I like about the Myvatn is the post-apocalyptic look of the landscape. So Hofdi was not high on my list of places to visit. 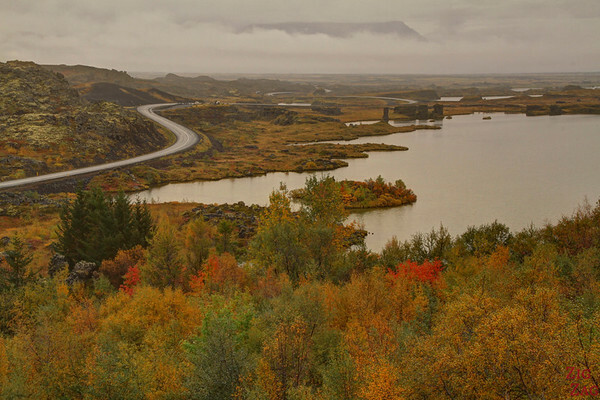 The tree with the autumn colors were nice but I was not in Iceland for such a scenery. Some people do really enjoy it as it provides a break from the lava and bare landscapes. Plus on a windy day, it is one of the rare areas around Myvatn where you can find a little bit of protection. After a few steps (be careful with rain it can be slippery), I was rewarded with some nice views of Lake Myvatn and the pseudo-craters. I think this promontory is close to the gate. I should have drawn a map while I was there, I am sorry. What a dedication to plant all those trees, don’t you think?